Just a little warning: I’m in full mid century mode this week. I ask that you embrace your inner Eames, sit back on your molded plywood chair, and enjoy the boomerang ride. With the dog recovering from an injury and our San Francisco “summer” weather upon us, I thought I’d do some research and shine the 50’s spotlight on an architect who made his mid century mark a little further south from us. My brother also happens to be on a road-trip-for-art-and-photography-fulfillment and sent me some snaps from his visually stunning time in the Southwest, which inspired me to broaden my Eichler horizons and feature another icon in another region. 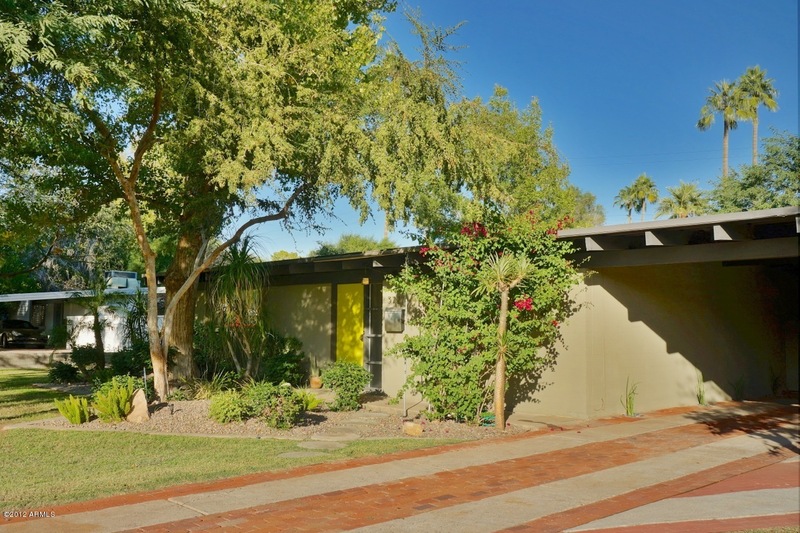 Ralph Haver was an architect and member of the AIA whose work can be seen primarily in Phoenix, Arizona. Best known for his mid century Haver Homes, Haver was a master at cost containment and incorporating new technologies into his designs. He was commissioned for both residential and commercial work, most of which can be seen throughout the Southwest region. 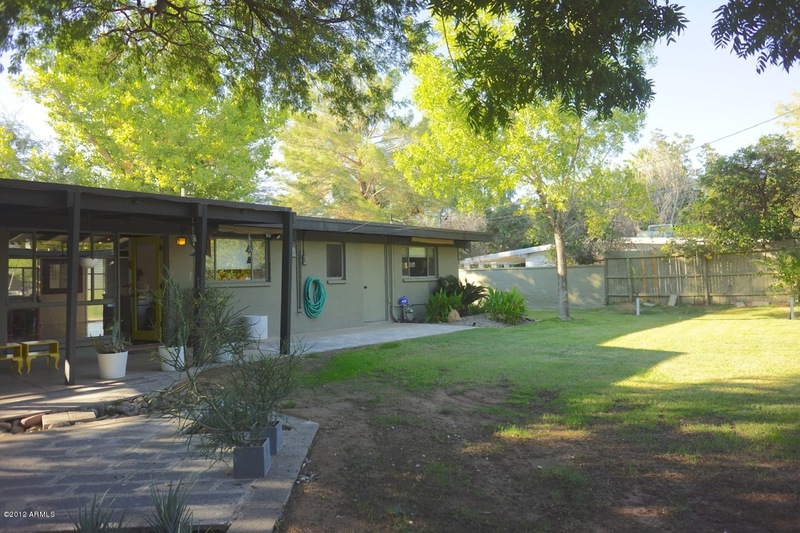 Here’s one that’s on the market in Phoenix. For $299,000, you can be the owner of this 2-bedroom, 1-bathroom, 1,200 square-foot iconic Haver Home. If you think it’s too small, check out the lot size. 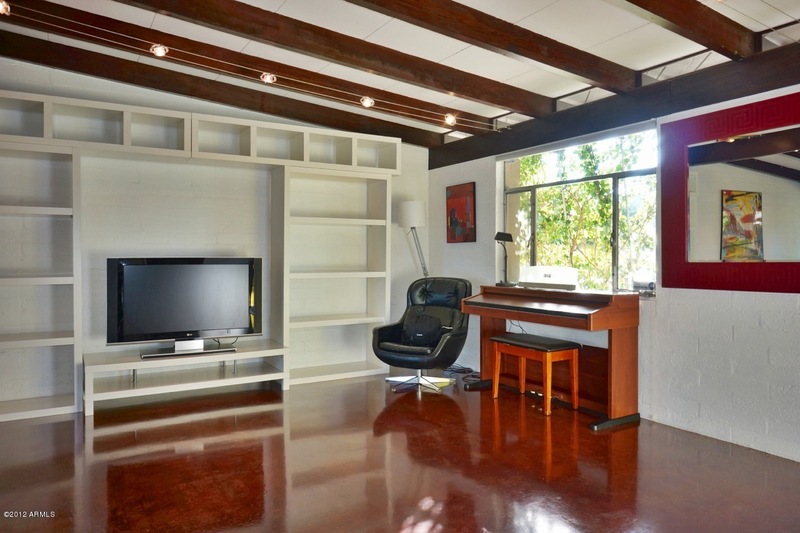 It’s 7,971 square feet.You read that right. The inside photos of the house surprise me. 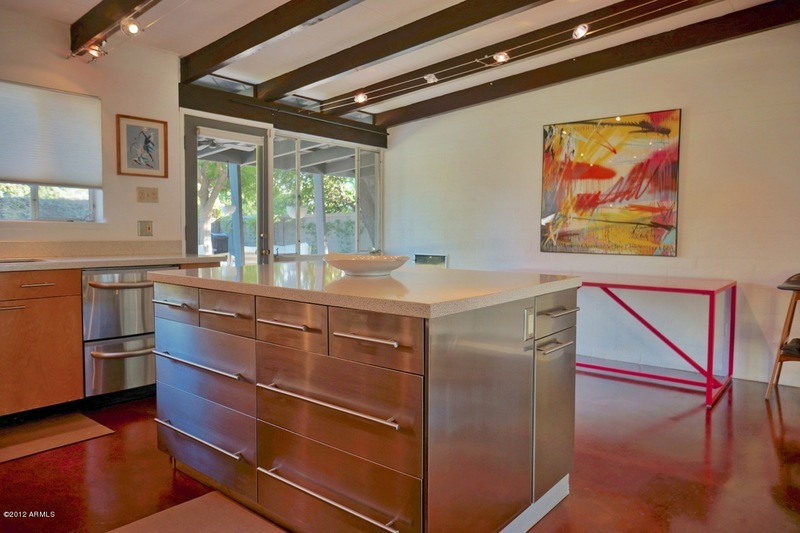 I expect most mid century homes to be massacred through years of remodels and updates by owners with varying degrees of….er….taste. I’m happy to say that I’m not offended by this one. In fact, I think it’s pretty hot. 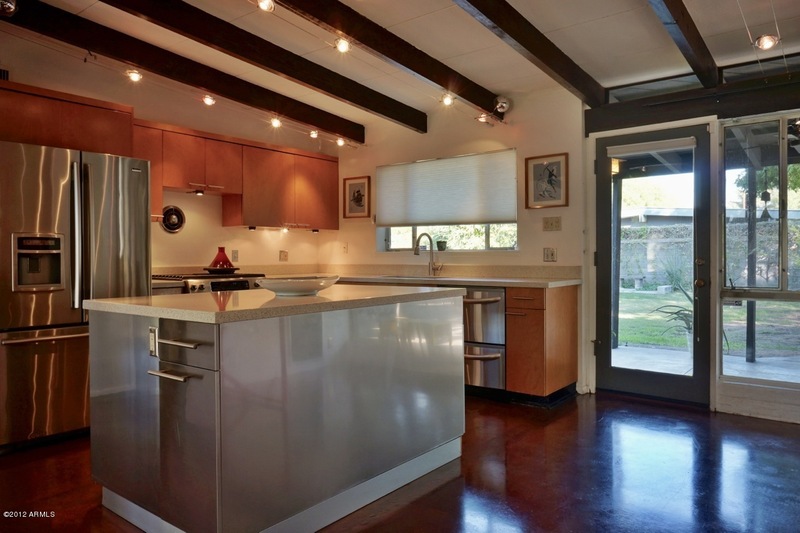 The interior has a very industrial feel, but if you’re going to modernize a mid century home, it’s the way to do it. 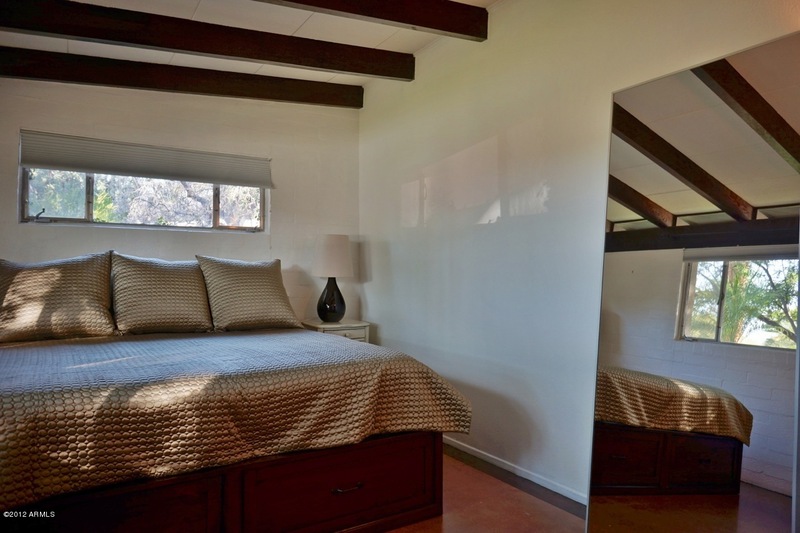 The only thing that makes me weepy is that cheap track lighting they installed across random beams. I love the beamed ceilings that are so typical of these homes, and I especially love that the owners painted them make them stand out. This is done throughout the entire house…..
….and has me beaming with a state of relief and joy (once I overlooked the repeat appearance of that track lighting). 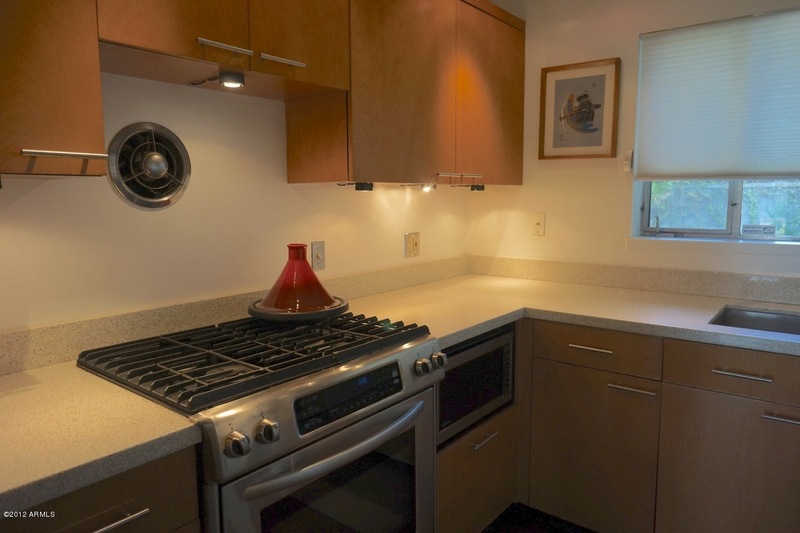 The kitchen and bathroom have been updated nicely, with modern appliances that will get most buyers interested. 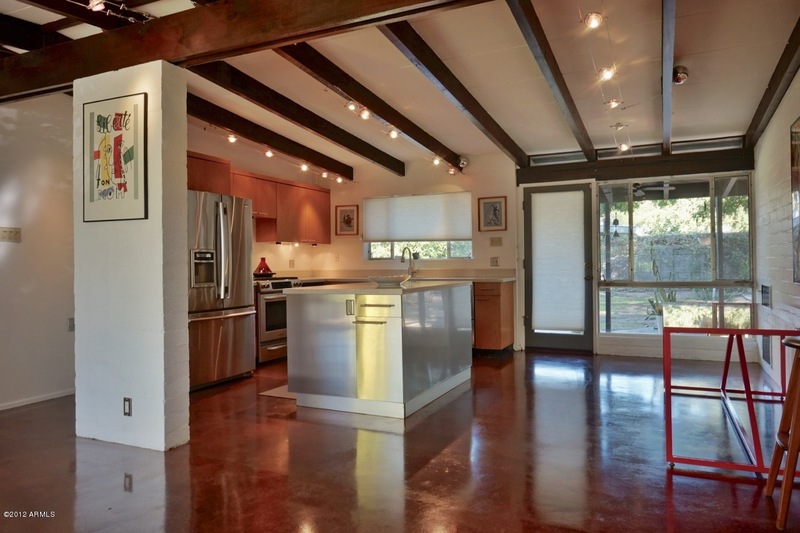 It’s not a vintage range, but it blends well with the industrial aesthetics of the remodel. And it looks like the cabinets may be original. I wouldn’t have installed these handles. I think little round chrome knobs would work better. THANK YOU for not going with granite countertops with crazy loud grains and colors. 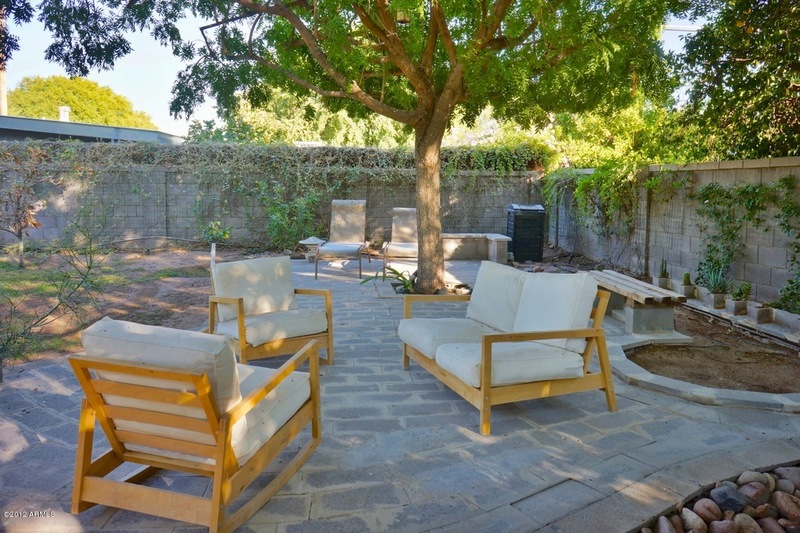 The backyard offers a dedicated space that’s shaded to enjoy comfortable outdoor entertaining (please tell me if I’m beginning to sound like a realtor). I have to admit, the price tag makes me want to lose all sense of sanity and move to Phoenix. I realize that our Bay Area housing market is on crack, and those of us who own homes can’t even afford to buy the dwellings we live in today, but the $299,00 price tag is just painful. All craziness aside, I doubt I would ever move to Phoenix because I love it here too much. But if the Bay Area housing market continues in the direction it’s going, I may be forced to do what-HAVER I can to get out of the rat race and live within my means. 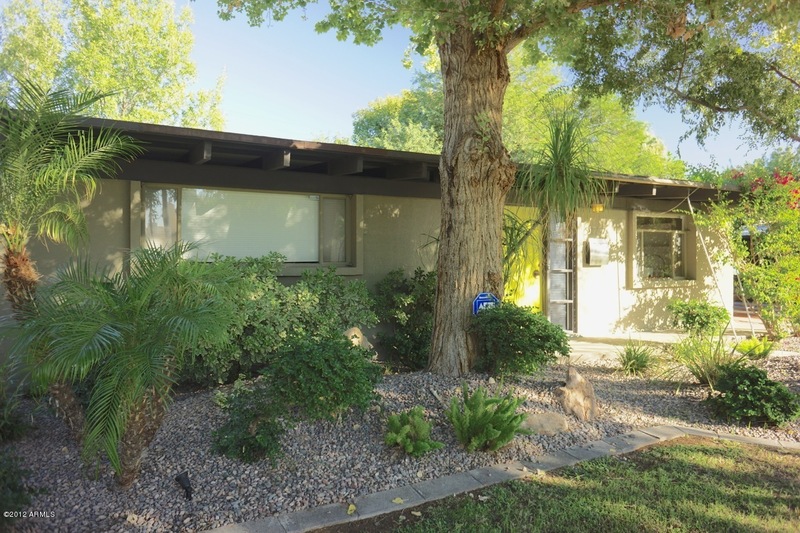 If Phoenix is on your radar, check out the listing.